Mary Magwood Causey grew up on the isolated shores of Little Bulls Island, South Carolina. The family lived in a home built from timbers harvested from shipwrecks. There was no electricity and no phone-none of the conveniences deemed essential to modern life. The youngest of almost a dozen siblings, Causey was alone more often than not, her brothers and sisters having mostly moved, married, or joined the army. She learned to entertain herself, writing poetry and playing creative but often lonely games, surrounded by the peace and beauty of the small island. At age eight she experienced a near-tragedy that transformed into a miraculous event, changing her life forever. This is the story of Causey, her siblings, and her parents-her hardworking Mamma and her old-fashioned, unchangeable Poppa who lived on and loved Little Bulls Island his entire life. And it's the story of a rebellious teenager, whose desire for a "normal" life leads to her hurting the father she loves dearly. 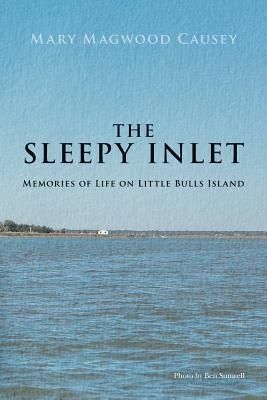 Part inspirational memoir, part poetry collection, and part recipe book, "The Sleepy Inlet" captures Causey's memories of a simple life and an island whose beauty and peace she would only fully appreciate after she left.